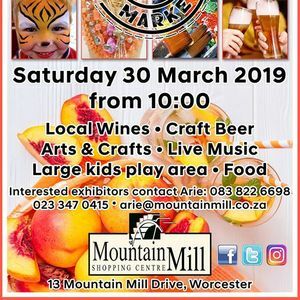 OUR WORCESTER WATERFRONT MARKET FOR THE REST OF THE YEAR WILL STILL BE ON THE END OF EACH MONTH. 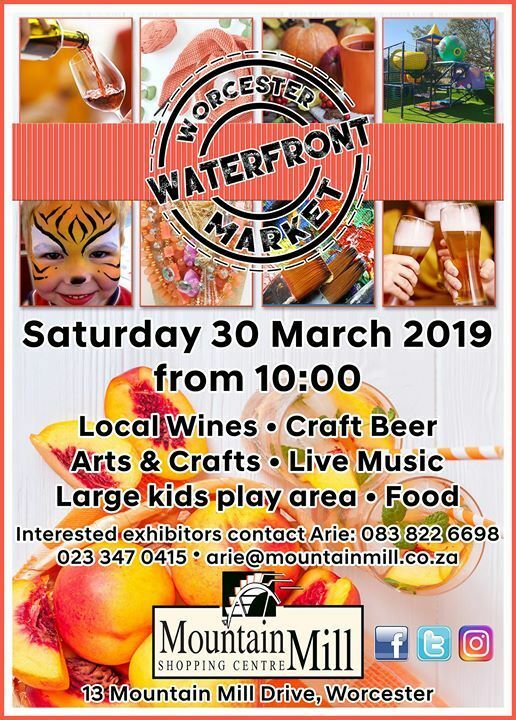 Our next market will be on Saturday, the 30th of March 2019. Live music, craft beer, arts & crafts, food, wine, lots of kids entertainment, +/- 60 stalls! Come and join us! Interested exhibitors, please contact Arie Fourie 083 822 6698, or YXJpZSB8IG1vdW50YWlubWlsbCAhIGNvICEgemE= for a FREE stall!